Check out some of my rides! 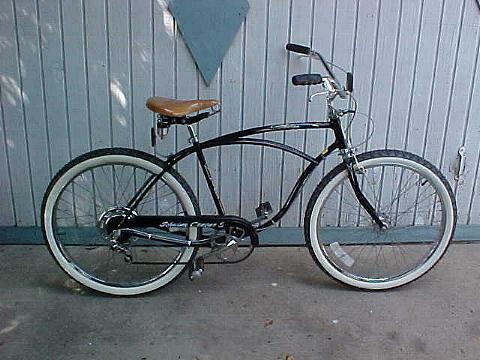 Lots of old Schwinn Bicycles! Ain't she a beautiful!! A lotta work went into this one. You can follow along to see how it was done. From gathering parts to finished ride! This is one of the ones that started my sickness! It is a 1982 Cruiser. It is all original and looked almost brand new when I found it! All I did was bring it home and wax! Here is a new one. 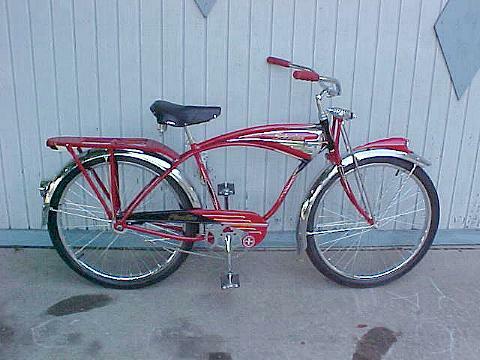 A 1980 Cruiser 5. My future work commuter. Also subject of a detailing tip. Kim's Kruiser! I made this one for my wife. It is a 1977 model. Black powder coat. Everything rechromed. Stainless spokes. Nos Studded Balloons. She won't let anyone touch it! Not even me! I finally got to this one. The rust on the chrome wasn't too bad before I began. Click here to see how it turned out! My buddy Tom found it in his attic. I wonder what else he has up there? It is a Lil Chik. I found an S-7 and a good gripper slick for it. Makes for a bunch of fun! I'm saving this for my daughter when she grows up. Can't Find What You Are Looking For Here? 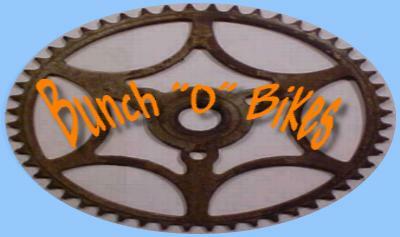 Try The Collectable Parts And Bikes At Ebay! !